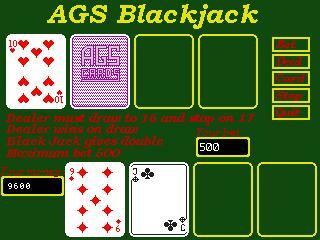 AGS Black Jack is a black jack game made with Adventure Game Studio. 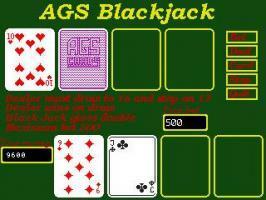 The game was only made to check out the possibilties of the AGS engine. Download if you're interested. If you want the source code (would only be interesting for AGS users), you can send me a request by e-mail. Unfortunately there are a few rule bugs in this game, but as I said it's just for testing. "Crashes when you make a bet so the game is unplayable." I couldn't get the game to even run. Needs updating badly.